One of the best parts of my photographic life is the people I meet on the road at rodeos, county fairs, brandings, and elsewhere. Every story is interesting, for each life is different. But occasionally, one story stands out, a story that is vastly different than others. 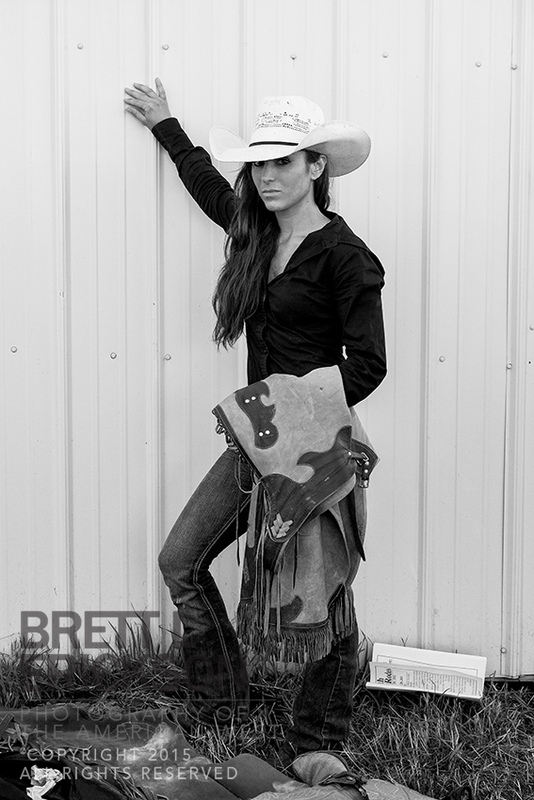 Sammy Geisler is just such a story, for in all my years shooting rodeos, I’ve never met anyone like her. She’s a bronc rider. The only woman I’ve ever met who was. In such a legacy sport nearly universally dominated by men, being a woman comes with an uphill battle for respect and recognition that’s tougher than the men have had to face. That means she’s tougher than nails, to say the least. And I simply had to make a portrait of that brand of strength. I’ve been working on my Rural Rodeos project now—off and on, but mostly on—for 3 years. There are numerous reasons the project and book are important to me, but the largest is that it shows the intersections of tradition, modernity, and coming of age for everyone involved. 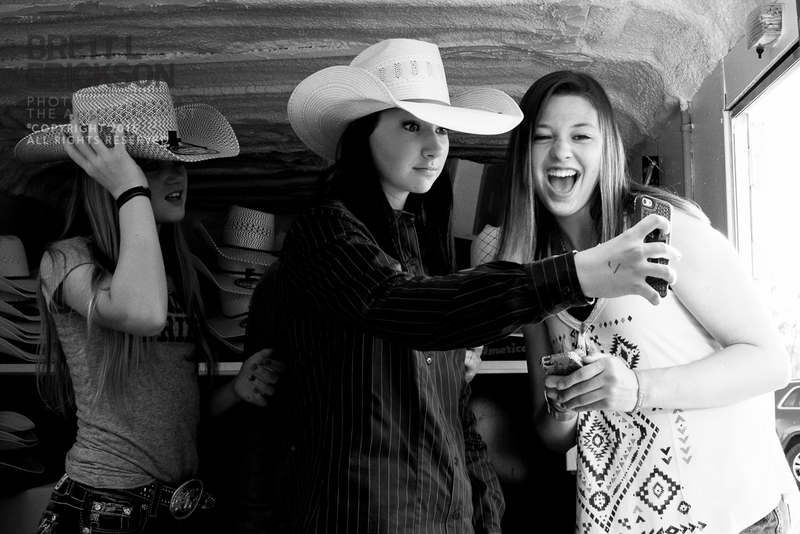 These girls, trying on hats and making selfies at the Eddyville rodeo, struck me as symbolic of all three of the central themes of my work. 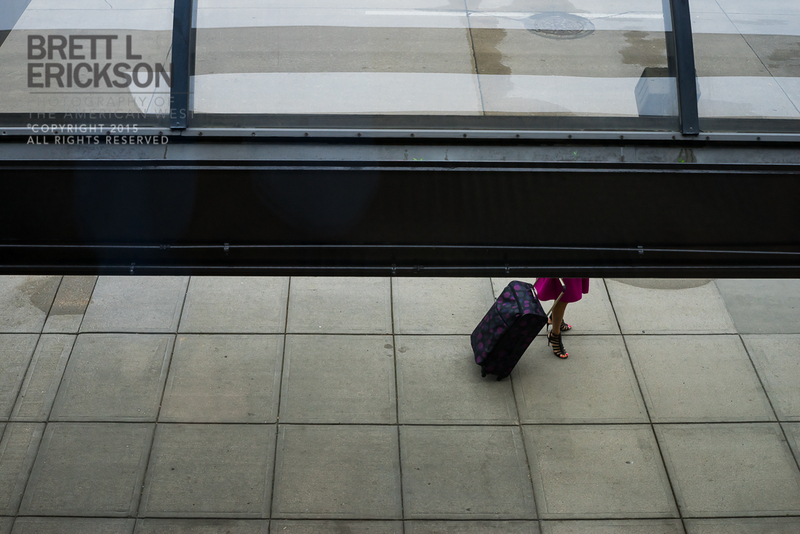 It’s been busy, so I’ve been away…but here’s a new photo to compensate. It’s a tough thing, creativity. It comes and goes, and regardless of projects extant, oftentimes creativity is, as artist Chuck Close so eloquently said, difficult and inconsequential much of the time: “The advice I like to give young artists, or really anybody who’ll listen to me, is not to wait around for inspiration. Inspiration is for amateurs; the rest of us just show up and get to work.” So, I’ve been out sweating. Being inspired? Well, that too.